VALLEY CITY, N.D. (NewsDakota.com) – The Valley City Rotary Club welcomed several new members including a corporate membership during their regular meeting on January 8th in Valley City. 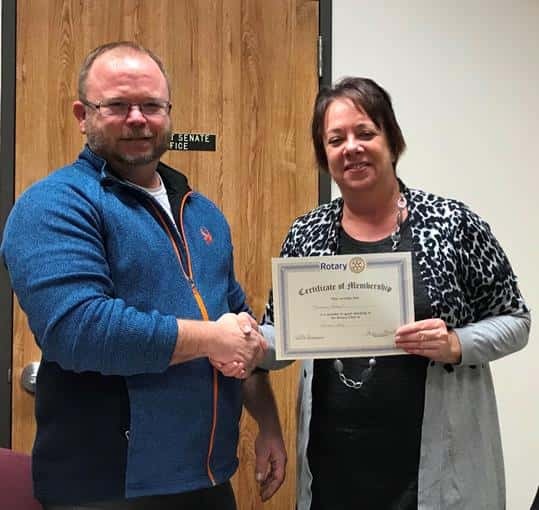 Rotary Club President Casey Stoudt welcomed Tammy Katuin as a new member. She is a business professor at Valley City State University. And the Bank Forward corporate members including Kara Wiebe, Melissa Schroeder and Deedra Froemke. 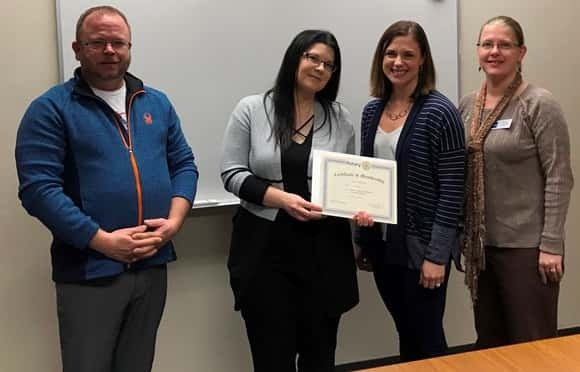 From left: Rotary Club member Casey Stoudt and Bank Forward – Corporate Members Deedra Froemke, Kara Wiebe and Melissa Schroeder. Rotary Club president Casey Stoudt welcomes Tammy Katuin a business professor at Valley City State University.